Home › Personalized Gifts › Congrats on your new home! 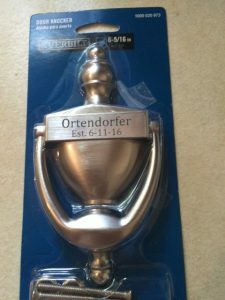 The Ortendorfer’s real estate agent was looking for a special gift for her client’s closing. She chose a door knocker personalized with the couple’s name and date of closing.